So far I’ve shown you the pens and wine stoppers, all fun lathe items to make. Now I’m going to take you to the world of flat work… but just for now. 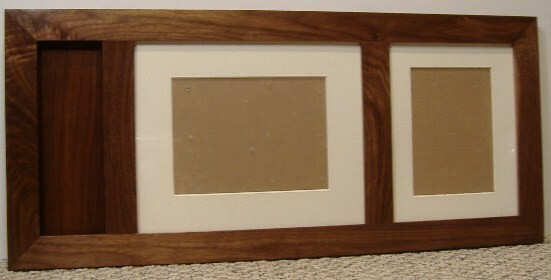 In the corner is a mahogany spline which reinforces the frame and I love the look of contrasting the woods. You don’t need a spline on a miter joint, but you do need to reinforce it… a miter joint is not very strong and additional reinforcements are needed. If you don’t like the look of the contrasting wood, a spline can be made out of the same material as the frame, or an different type of reinforcement can be used. Nails could be used… but seriously?? 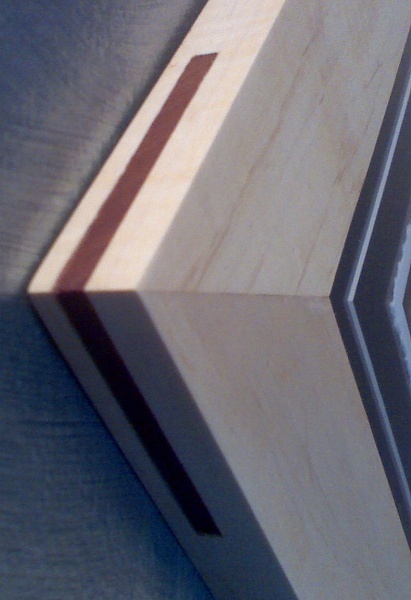 I like to try and stay with traditional joinery when possible. 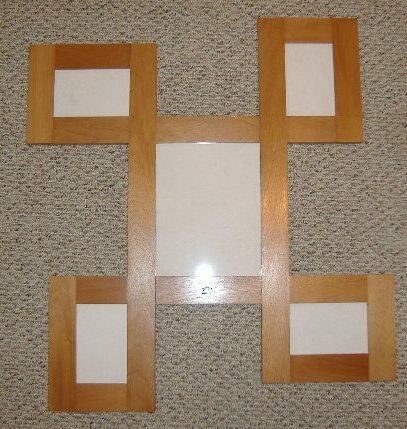 This 5-picture picture frame was one that I thought would be cool to make. It is created with half lap joints which are nice and strong. 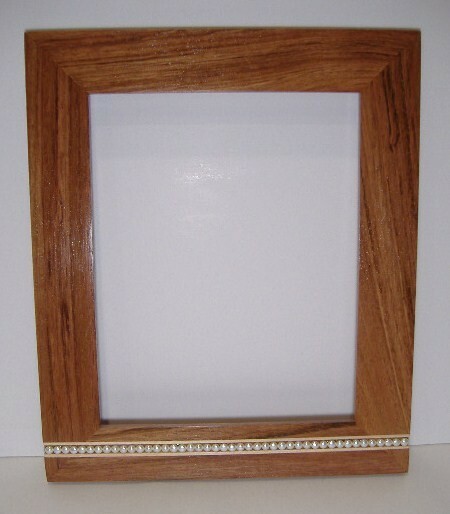 I get a lot of inquiries about this frame, which can be custom made for all kinds of pictures sizes, but this is an expensive frame, prices vary but they are usually north of $150, which include glass and backing. It is just a labor intensive frame to get all of the joints fitting nicely, but you get what you pay for! 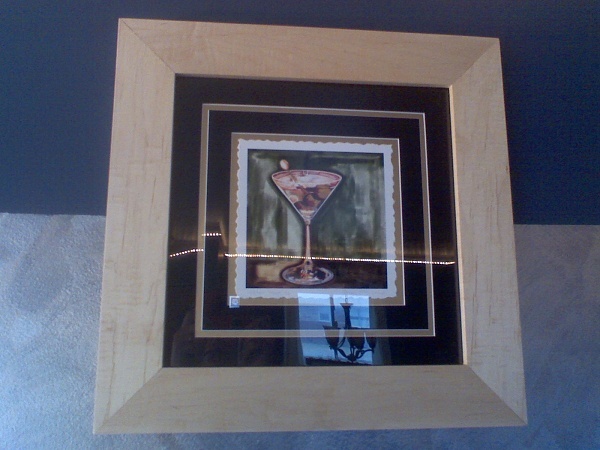 If you are the type of person that needs to have an abstract, unique frame… then look no further. This next frame came about as a custom order from someone looking for a way to house high school diplomas’, a picture, and the tassel. It uses a combination of miters joints and half lap joints. 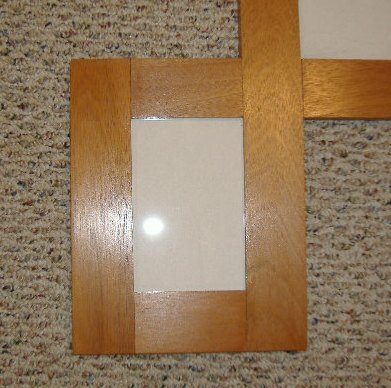 The half lap joints strengthen the frame enough that the miters don’t need to have splines, but they could still be added. This frame runs around $110, which includes glass, backing, and a custom cut matte to fit the picture size that you might want. This also allows you to use the frame for a college degree as well. 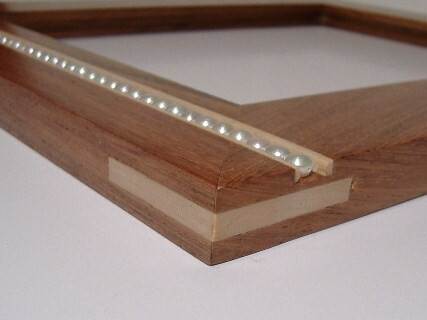 This final frame was custom made for a 30th “Pearl” anniversary. I added a channel and inlaid some fresh water pearls and outlined them in some maple, which matched the splines. 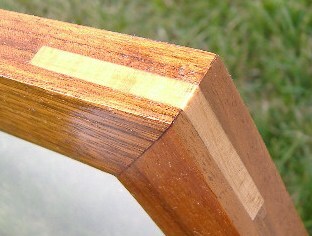 The frame itself is made from exotic Jatoba. The idea for the design was a collaboration between me and the buyer. If you have something special you would like a custom frame for just let me know and we can try to get you what you are looking for.